Offers the mode for counting the aerobic steps made, which allows you to calculate the amount of energy expended during your training. The bundled manual is not very detailed. 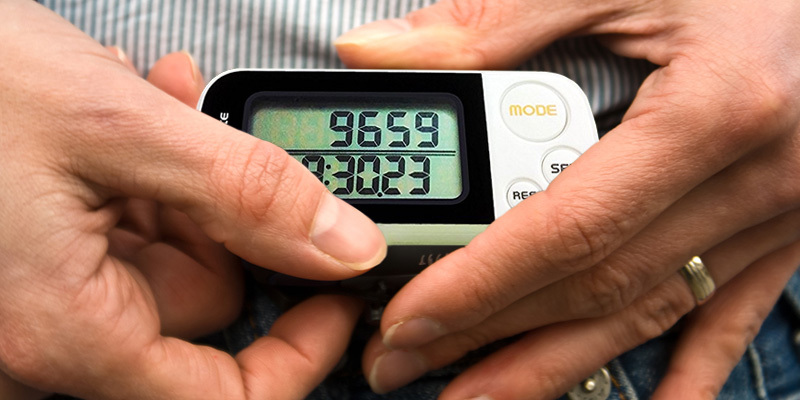 This pedometer combines simplicity and functionality, owing to "smart" solutions implemented by the manufacturer. 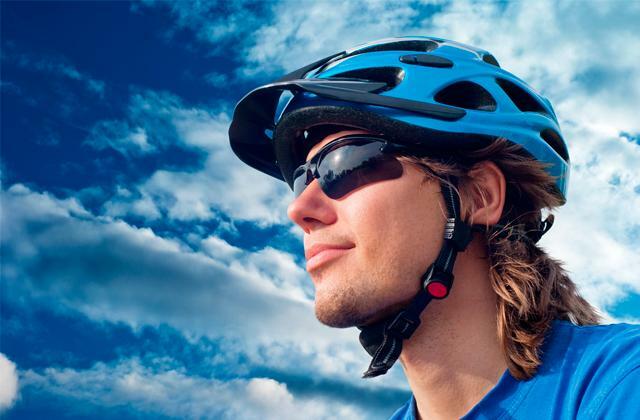 Undoubtedly, this device is for people who pursue an active and healthy lifestyle. Comes with a special USB dongle that will synchronise the data collected by the device with the database of the application installed on your PC for more convenient results comparison and evaluation. The battery life is not as long as it is specified. 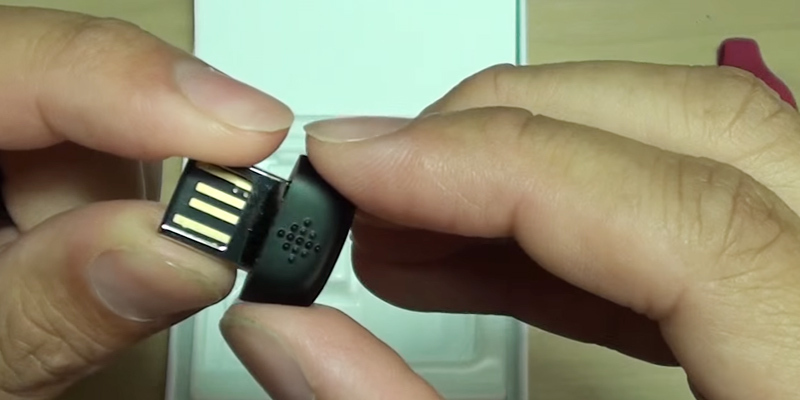 This miniature solution with an elegant appearance will allow you to easily control every step you take and carefully store all your data for a later analysis. Owing to a low battery indicator you'll replace a battery on time. An adjustable sensitivity and automatic calibration ensure high accuracy during walking, jogging, and running. It takes a long time to customize a user's profile. 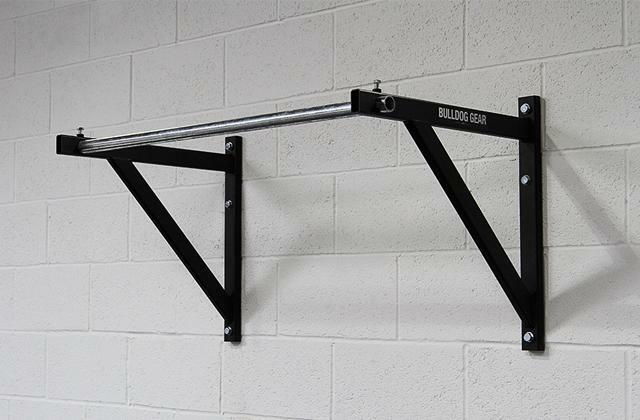 This device will motivate you to beat your records. Start stepping up instead of taking the lift! 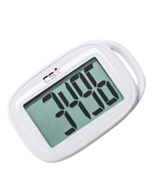 With an automatic screen dimming feature you'll be able to use this pedometer for up to 12 months. 1.52" x 3.12" x 0.95"
Features a special smart counting of the steps with an error correction that activates the counting if you take at least 10 steps in a row to prevent incorrect results. If you are looking for an extremely simple device of this type, which is not complicated with additional functionality then you will hardly find a better solution. 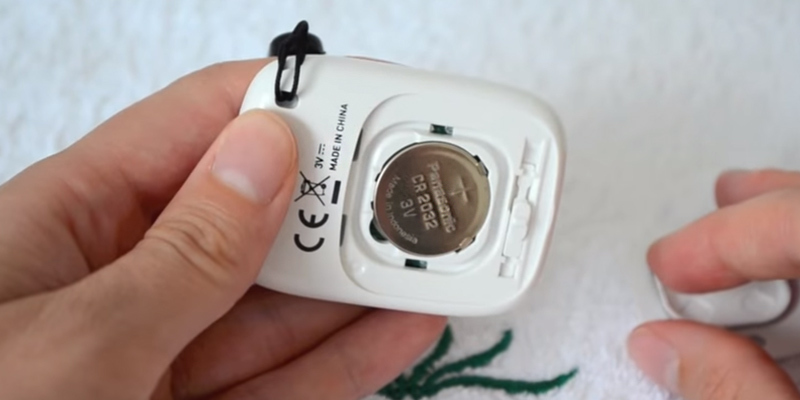 Look for yourself, you do not even need to read the manual, in order to start using this CSX model, simply install the battery and start using the device. Avid users will greatly benefit from the additional features this device has to offer, such as timer and clock. These allow you not only to track the time but set the time interval and control the number of steps you made in this interval, so as you can improve your result gradually. Has an extremely sensitive accelerometer, which sometimes causes the pedometer to trigger on even small movements. The developers of this model knew very well what people need to achieve good results and control their progress. That's why this device has everything that is needed for your everyday walking. 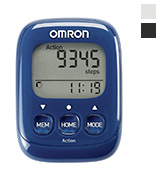 As the overwhelming majority of pedometers for walking, this model by Omron is manufactured in a compact and conveniently shaped case. The Walking Style IV was designed with an ergonomic arrangement of the controls so that it is easy to operate the device single-handedly. With the three physical buttons on the front, you can quickly memorize the readings, return to home menu and switch between the modes. The controls are complemented with a comparatively large and informative screen that accommodates the steps indicator with up to 10,000 count, current mode indicator and activity loop time. With that, the device weight is only 20 grams. In addition, the Style IV is available in three colours: black, white and blue so you can choose the one to your liking. 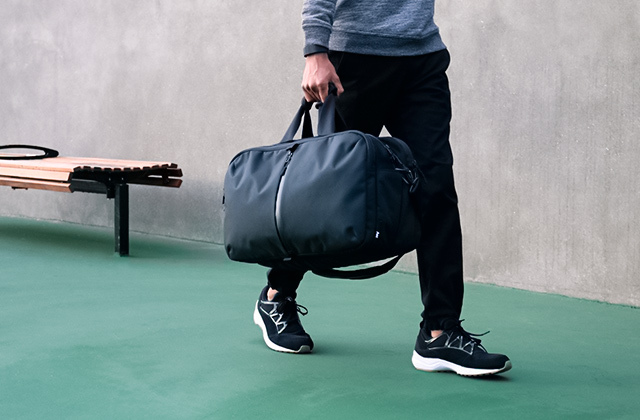 The Walking Style IV model offers athletes and sports enthusiasts the features that are truly necessary for tracking their activities. With its enhanced 3D sensor technology for counting your daily steps, this one of the best pedometers is capable of keeping a record of not only mere quantity but also the quality of the steps you take. Owing to this technology, this model can discern between regular walking and brisk aerobic steps, which are tracked separately when the device detects the 60 steps/minute walking rate for more than ten minutes at a time. 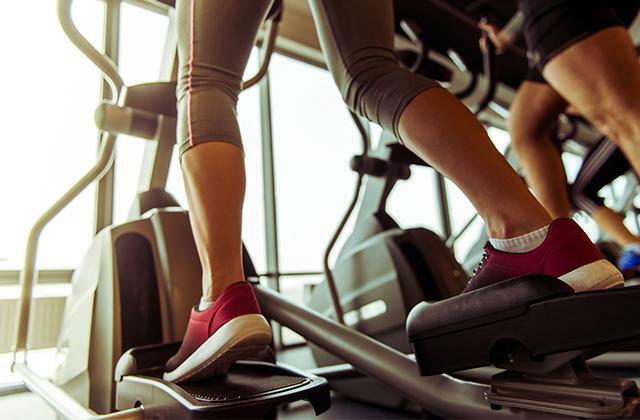 The advanced steps statistics in its turn allows for a more precise calculation of the calories burnt with a higher burn rate accounting for the aerobic steps registered. However, the Style IV offers even more flexibility with its action mode, which you can use for controlling your progress and setting personal goals. This mode grants access to your statistics on distance covered and calories burned for a particular activity (steps, aerobic steps) on a particular day and selected time period. Thus, you can easily plan your walking activity, which intensity can range from strolling to quick walking, then select the needed type just before going in for it use the data for reference during your future workouts. What can be more motivating and uplifting for a person going in for sports than breaking a record? While aspiring for more is very important in sports your small victories and goals already achieved are what keeps you on track. 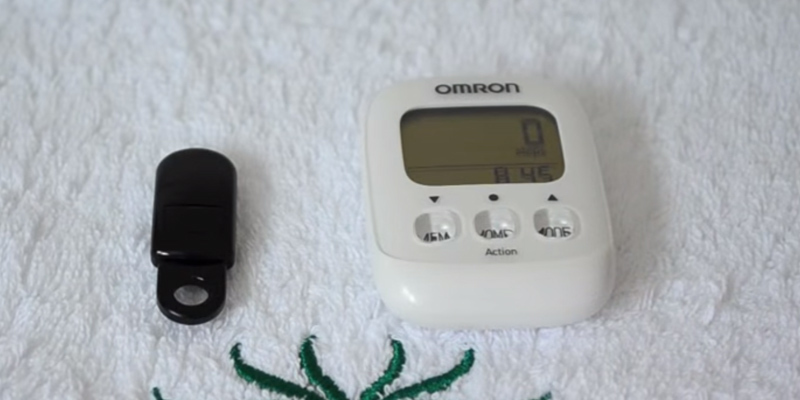 Being aware of this the manufacturer of the Omron Walking Style IV equipped the device with 10.000 steps achievement indicator, which is aimed at rewarding your efforts and inspiring to new achievements. What can be better for a sports fan than being able to use a pocket-size digital assistant? Probably having a feature-packed pedometer that can be worn in a pocket, on a belt, or a bra to make it as conspicuous as you want it to be. The Zip is just that kind of a device. 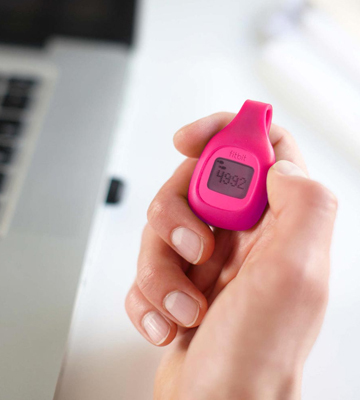 With its silicone clip, you can comfortably wear this counter of steps and calories throughout the whole day. Moreover, you will not restrain yourself in performing your physical exercises for fear of damaging the device as it is manufactured rain-, splash-, and sweat-proof. 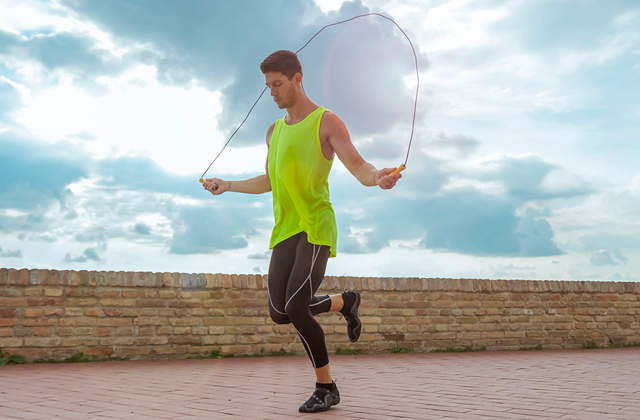 Indeed, its sleek externals and reliable internal design make the Fitbit Zip capable of tracking your physical performance in any weather and at any intensity of the training. The Fitbit Zip carries a replaceable watch battery that lasts up to half a year, which makes it also an excuse-proof device. 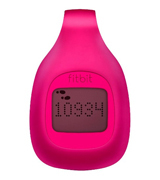 With their FB301M model, Fitbit introduced a modern and compact digital pedometer that meets the requirements of both beginners and professionals. Owing to the modern accelerometer use, this compact digital trainer can accurately capture your all-day activity parameters, which is impossible to do with old-school models. However, the device is capable of doing more than just tracking your steps, distance covered and calories burned. 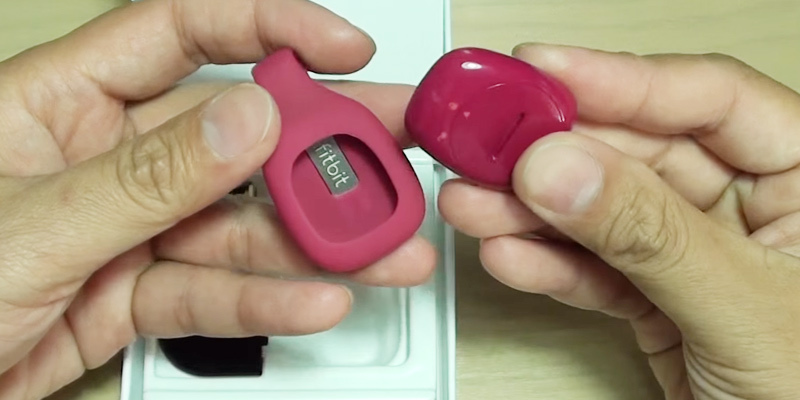 The fact of the matter is that the Zip is a Bluetooth-enabled model that automatically syncronises the physical activity data acquired with your Fitbit personal account using a PC, a tablet PC or selected smartphones. Thus, you can use the built-in Bluetooth 4.0 transmitter on the device to set your personal goals both online and via the Fitbit App to pursue your active lifestyle and stay motivated on the way to your fitness accomplishments. The Zip makes performing this task a fun with available activity parameters graphs, charts, badges and even friendly competitions. Using the bundled software, you can share your results with friends and family as well as to keep your finger on the pulse of their fitness progress. As we mentioned, the Zip model comes with a free mobile app that enables tracking of your current progress and planning your activity. The app gives you an access to a free online dashboard and provides snapshots of your daily progress as well as aggregated results for a determined period. The main advantage of this dashboard is that it allows a customization in displaying your data. 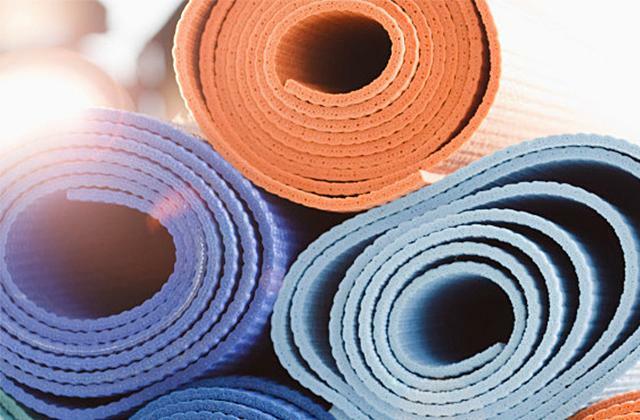 In other words, the bundled software serves to make the array of the physical activity data acquired with the Zip hardware much easier to understand, check against, store and access at any time. 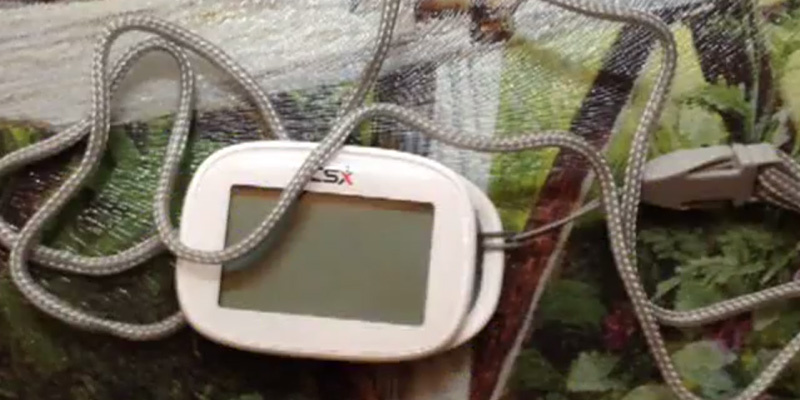 The 3DTriSport Walking is a digital electronic pedometer. It is designed with 3D Tri-Axis Sensor Technology that tracks your steps in 3D space. Thus, your activity data are recorded with high accuracy. 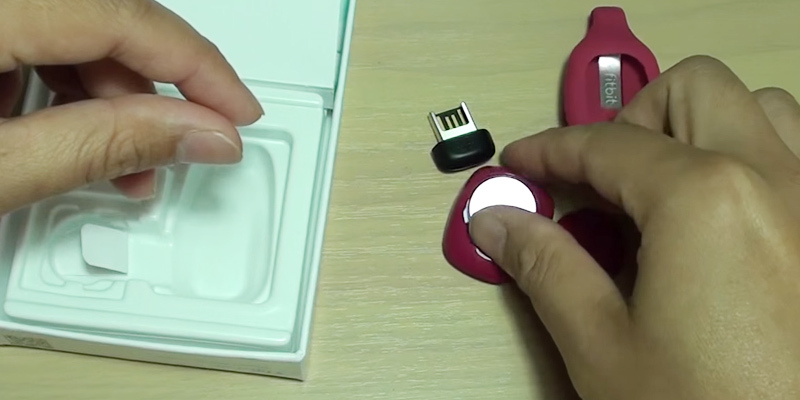 The pedometer has a small size and is pretty lightweight. So, whether you put it in your pocket, clip to your waistband or wear it around your neck, the pedometer will go unnoticed. The 3DTriSport Walking comes in 3 different colors to appeal and hit the taste of customers. The 3DTriSport Walking pedometer features a built-in stopwatch mode that allows you to record your training sessions while it counts laps, passed distance, and burnt calories. 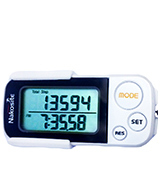 For greater accuracy, the pedometer offers an adjustable sensitivity and automatic calibration. Thus, the device "knows" the difference between walking, jogging, and running, and properly records your activity stats. In addition, the 3DTriSport Walking pedometer stores data on your activity for up to 30 days. So, you can always track your progress. On buying this device you’ll get a helping hand that will track your activity for 6-12 months before it's time to replace batteries. 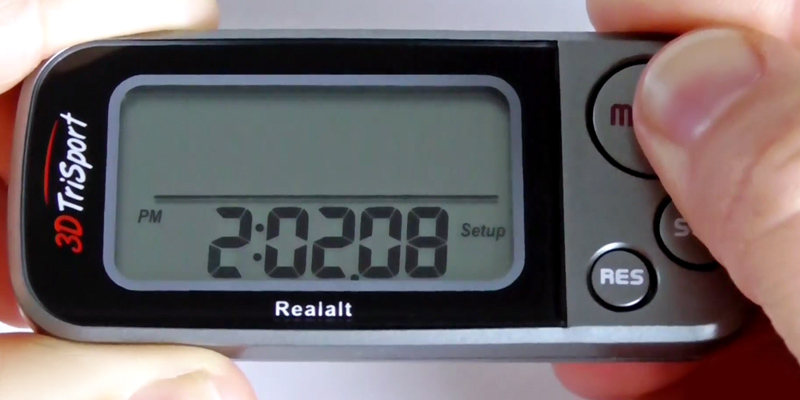 Regardless small dimensions of the pedometer it has a rather large and easy-to-read display. The device has 3 control buttons where the "Mode" button is the largest one. Thus, you can skip through stats on your daily activity. To prolong a battery life, the manufacturer has designed the pedometer with Automatic Screen Dimming feature. And Locking Mechanism in the 3DTriSport Walking pedometer prevents accidental button pressing if you put it in your pocket. The modern technologies nowadays penetrate into all gadgets and digital products. With a global trend of manufacturing highly integrated and miniature devices, some fitness trackers and step counters obtained the functionality inconceivable even for smartphones released some seven years ago. Nevertheless, there are manufacturers preferring to keep things simple with their products. 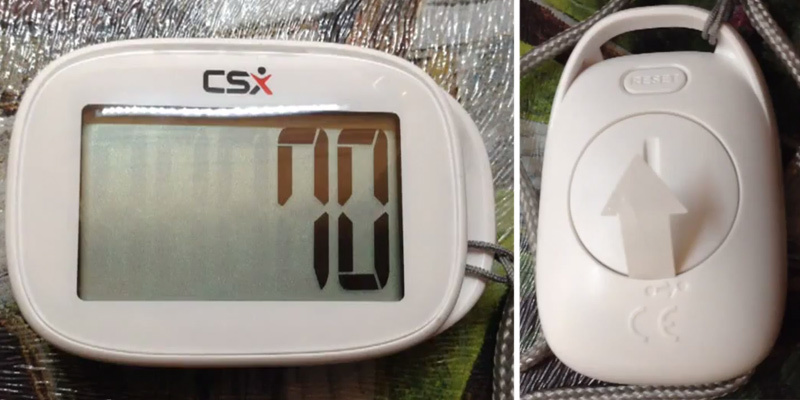 That is the case with the CSX Simple Walking 3D pedometer, which is designed to count your steps only. However, the device uses a sophisticated 3D Tri Axis technology for counting the steps taken with a high accuracy. 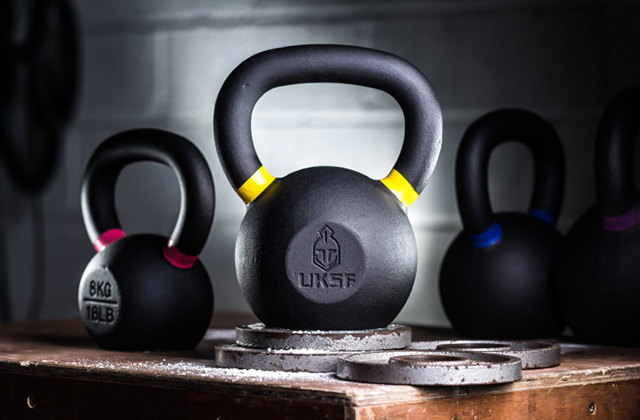 The CSXs’ simplicity brings yet another beneficial feature - the device is ready for use out of the box and doesn’t require any configuring prior to its operation. Even more to this, the unit automatically switches to the sleep mode when there is no movement detected and wakes to count your steps when moved. This model by Competitive Sport Xtreme is designed very compact and comes in a sleek small case. Owing to this you can conveniently put it anywhere, be it a pocket of your clothes, an inner space or pockets of a bag or a backpack. 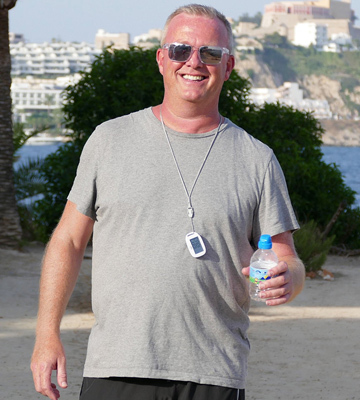 As the Simple Walking comes with a lanyard, you can also wear it hung around your neck or attached to outdoor clothes. 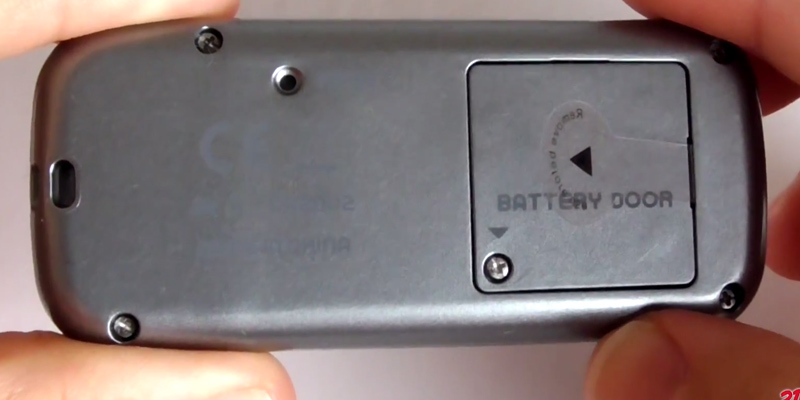 What is also appealing about the externals of this step counter is its large LCD screen. The decision to use the screen that occupies nearly all the space on the front panel comes naturally, as the device does not need any controls for the operation. With such a high-contrast screen, the values displayed are well discernible and rather easy to read. 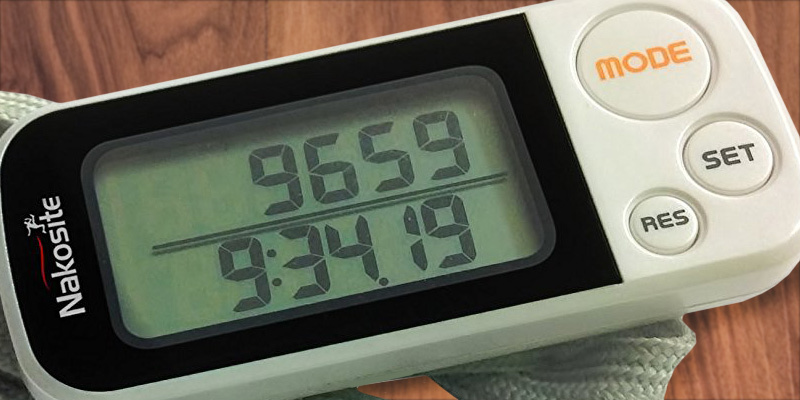 As for the step counter itself, it offers up to 99,999 steps count with a manual reset to zero. This is quite a large number considering that most of the competing models offer the 10,000 as a maximum count. Owing to its minimalistic, yet essential set of features and effective use of the sleep mode, the CSX Simple Walking 3D can run on a single (included) battery for about a year, which is simply unachievable for more feature-packed competitors. Thus, after buying the device you have a peace of mind as for the need for recharging it for several months ahead. This compact device we chose for our review is very lightweight yet sturdy and reliable. 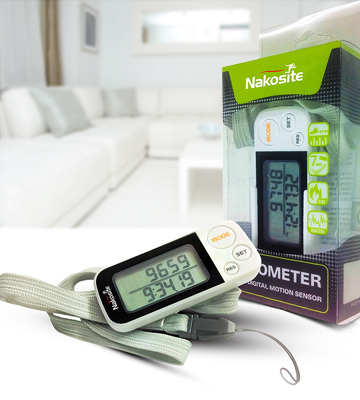 Though this pedometer by Nakosite is called Best Walking 3D it is capable of counting your steps, not during your walks only. Indeed, this feature-rich model has a cutting-edge seamless Tri-Axis sensing technology implemented. The Tri-Axis technology enables a precise accounting for the steps for any activity, including running and jogging on a flat surface and even climbing at an inclined plane, which is impossible to achieve for conventional pendulum-based counterparts. As the device was purposefully not equipped with any sound signaling system all the steps counting and operation is completely silent and won’t distract you from your physical exercises. On the other hand, the large LED screen and three big convenient buttons allow see the readings and quickly switch between the modes as well as to reset the count. With such convenient controls, it is only a matter of time to get used to checking your current performance and adjusting the settings correspondingly without beeps. Along with counting your steps, the functionality of the Best Walking 3D allows you to record and track your physical activity against various parameters. The Nakosite device shows the distance covered (in both kilometers and miles) as well as indicates the calories burned (KCal). Using these indicators, you can monitor your current performance and set various but realistic daily fitness goals. Especially that the device has the 10-step progress bar and milestone reminders, which are together with the active status showing make tracking your activity during the day a fun. Seeing the intermediate results for your workouts is both stimulating and alerting when you put efforts in achieving some stretch goals. Well, that what pedometers are for, in the first place, aren’t they? 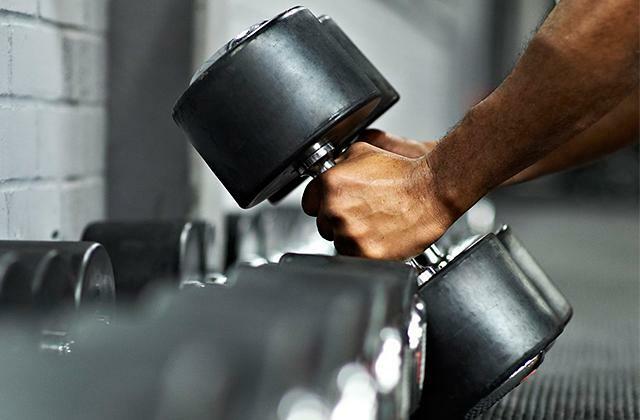 As we all know the best results when doing physical exercises are not achieved immediately but rather over some period. In other words, to get some significant positive results from running or walking you need to follow your routine for quite a while. Being well aware of that Nakosite decided to equip their Best Walking 3D step and calories counter with 30-day memory. This feature allows you to work with a large 30-day long array of statistic data on your physical activity, compare your daily results, see the improvements and adjust your plan. As for keeping track of your daily activity, the model offers a convenient timer reset that automatically sets all your daily counters at midnight. Movement is the definition of life. This expression is a fundamental truth for people who care about their health and longevity. That is why doctors recommend to walk and take about 10,000 steps a day to maintain your physical fitness. But how do we know the number of steps we take on the average per day? Here a pedometer will come in handy. This device counts each step you take by detecting the motions of your hands or hips. Moreover, a pedometer displays a distance travelled, calories burned and time elapsed. Thus, knowing your current activity statistics, you can try to reach for more and beat your own score! However, if you are a professional athlete and need to have an accurate information on your activity we'd recommend you to look through our review on running watches. Electronic and electro-mechanical types of pedometer have key distinctions in their functionality. Electro-mechanical pedometers use pendulums to sense the movements of your stride and then convert it to an electric pulse. 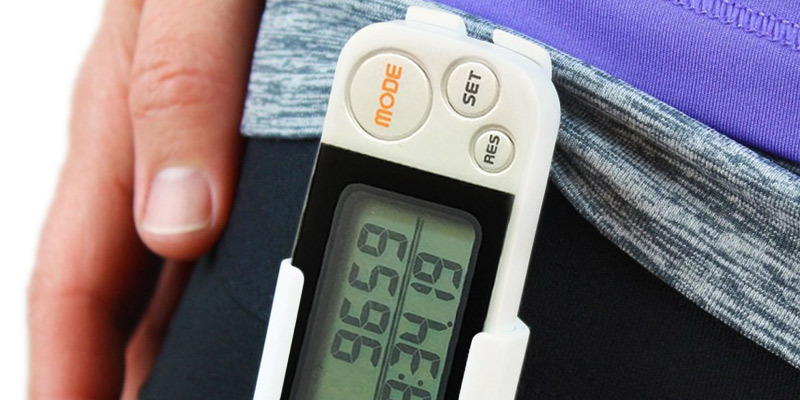 A pedometer shows the count of your steps on a display in the digitized form. Such devices are inexpensive and are no slouch at work. But the only drawback of an electro-mechanical pedometer is that it may falsely count your steps when you've just bent over to lace your shoes. More sophisticated pedometers have no moving parts in their construction and measure your steps with accelerometer instead of swinging pendulum. Such entirely electronic devices are rather popular nowadays as they provide users with the exact readings through the complicated mathematical treatments. Therefore, electronic pedometers don't falsify the tracking data even if you put it in your pocket. 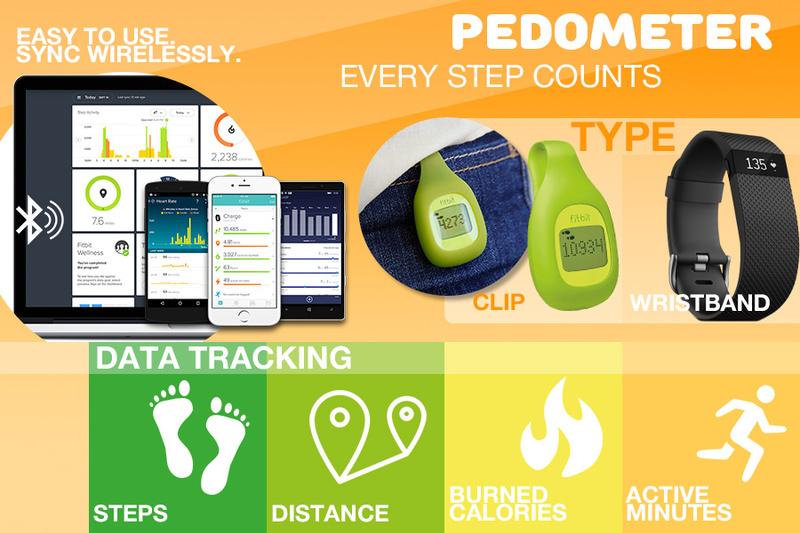 Electronic pedometers rely on inertial sensors and modern software to count your steps. So, there are different models that have 1, 2, or 3-axis detection of acceleration. Or to make a long story short, your steps are recorded in 1D, 2D or 3D space. 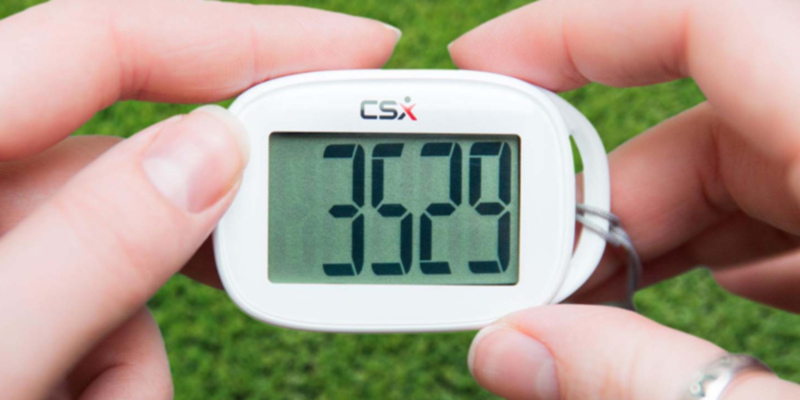 The most popular and accurate pedometers are designed with 3D tri-axis sensor technology. Unlike pedometers with 1D or 2D sensors, this one is able to determine whether you are running, walking or jumping. Moreover, it counts the number of stairs you’ve climbed. Thus, electronic pedometer with 3D tri-axis sensor technology would be the best choice for those who are engaged in sports activities. The other feature that makes the devices with 3D technology stand apart from competitors is that they can be carried in a pocket, on your wrist or waistband. 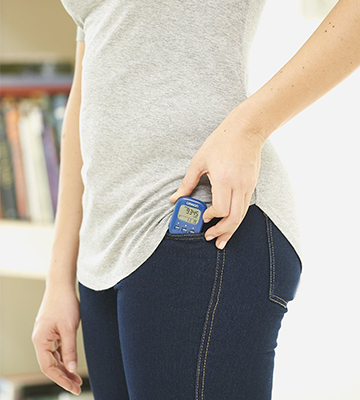 In contrast, pedometers designed with 2D sensors require secure fixing to your waist or waistband for accurate work. The pedometers also differ in their construction. The most popular models are designed to be used with a clip. They can be secured to your clothing in order not to bounce around while you're running or walking. If you don't like things attached to your clothes, look through wristband models. The next thing we want to draw your attention to are settings and data tracking of different pedometers. Modern devices can do both, count your steps and track travelled distance. They can also count burnt calories, the number of aerobic steps, and the time spent on passing a certain distance. 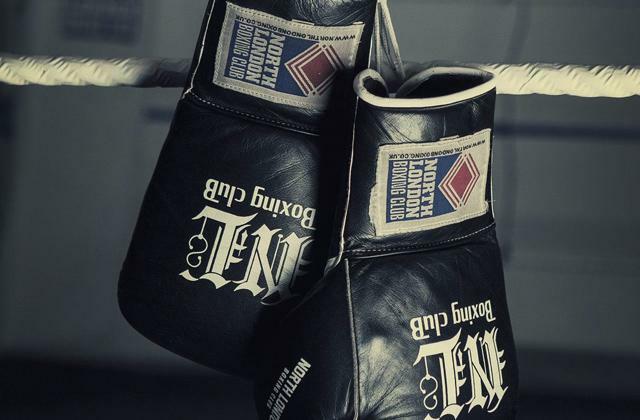 On knowing your ongoing results, you will be able to analyze your daily or monthly activity and succeed in beating your personal records day after day. Moreover, some models feature an ability to sync your stats to iOS/ Android/ Windows/ MAC OS devices. So, you don't have to manually record your data! But you should be aware that some pedometers are compatible with iPhones and iPods only. Hence, look through a description of your chosen device carefully. A pedometer should be handy. As if you've decided to purchase an assistant for your good shape improvement, it should be always at hand and match all your needs. 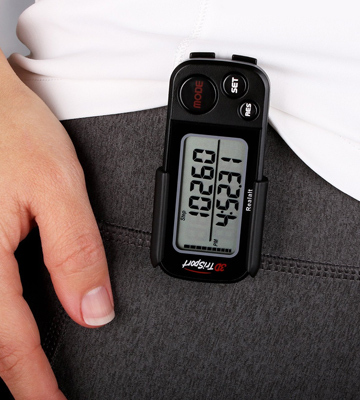 So, first of all, look for a pedometer that feels good in your hand or fits in your pocket. Pay attention to its battery life, because a pedometer is meant to track your activity all day long. Some models have a battery that lasts several days only , while others can last for up to 6 months on a single charge. It is preferable to opt for a user-friendly and easy-to-operate pedometer. Thus, you will be able to customize the device up to your needs effortlessly. 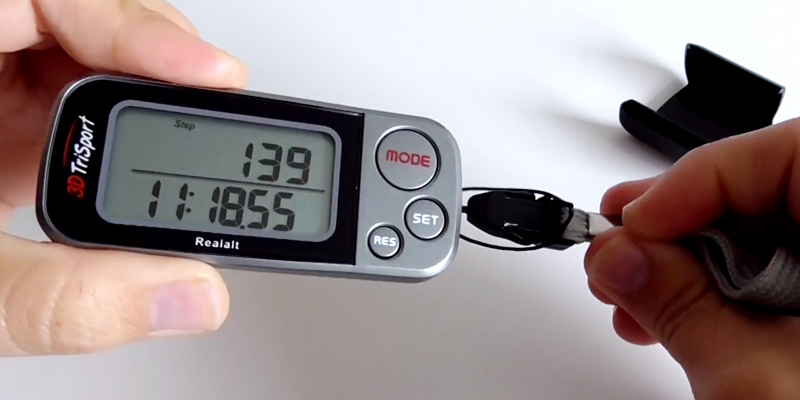 And finally, look for a pedometer with a display the can be easily read. 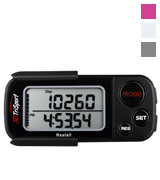 To be sure that a pedometer tracks relevant information on your activity it is recommended to check it on accuracy. For that purpose, you need to zero out your ongoing results and make 100 steps. A pedometer should align with this number. 1. Wendy Bumgardner How to Choose the Best Pedometer, Verywell. October 16, 2016. 2. Jediah Porter How to Choose the Best Pedometer, OutdoorGearLab. November 11, 2016. 3. Pedometers Buying Guide, Consumer Reports. 4. Liza Barnes How to Choose and Use a Pedometer, SparkPeople. 5. Choose and Buy the Best Pedometer to Count your Steps! HubPages. April 19, 2014. 6. Rachael Rettner The Truth About '10,000 Steps' a Day, Live Science. March 7, 2014. 7. Chris Woodford Pedometers, ExplainThatStuff. November 12, 2016. 8. Katie Golde Is Walking as Good a Workout as Running? Greatist. July 6, 2015.